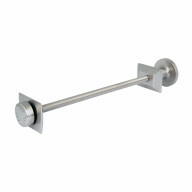 Engineered from solid brass, finished in brushed nickel. 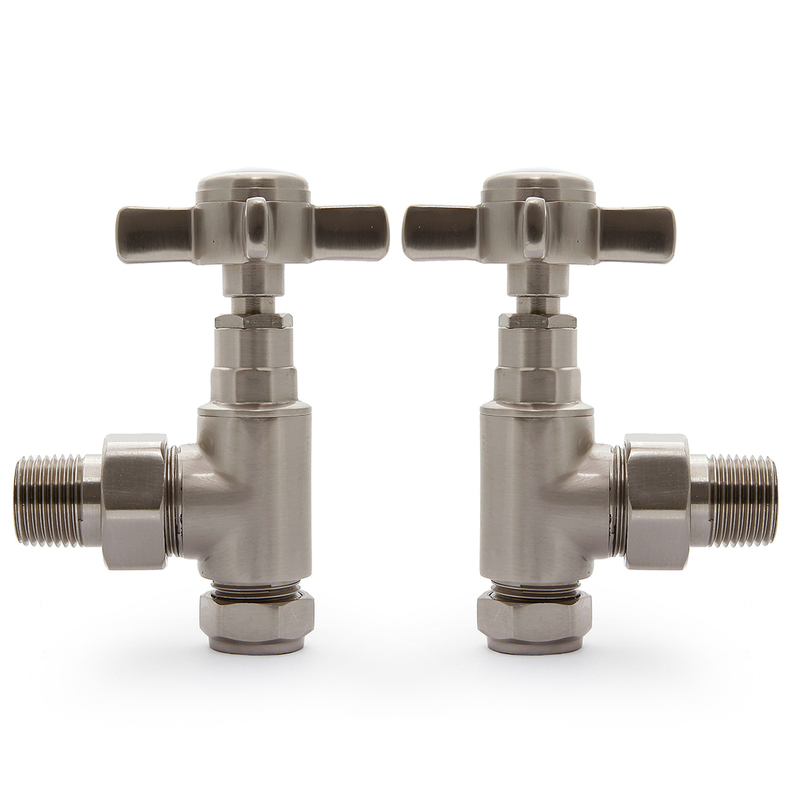 Manual crosshead valves with a fluid turning motion to open and close. Sold as an identical pair, matching shrouds available separately. 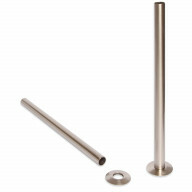 Engineered from solid brass and finished in brushed nickel. A pair of crosshead valves that will fit not only our cast iron radiators but also towel rails and more contemporary radiators too. Match with column radiators in almost any finish, especially Satin Polish and Mid Grey Sparkle.